Perching absorbedly on a branch are the witty owl. Lovely pattern on the front; back is concave. It hangs on a pair of brass nickel free earwires. 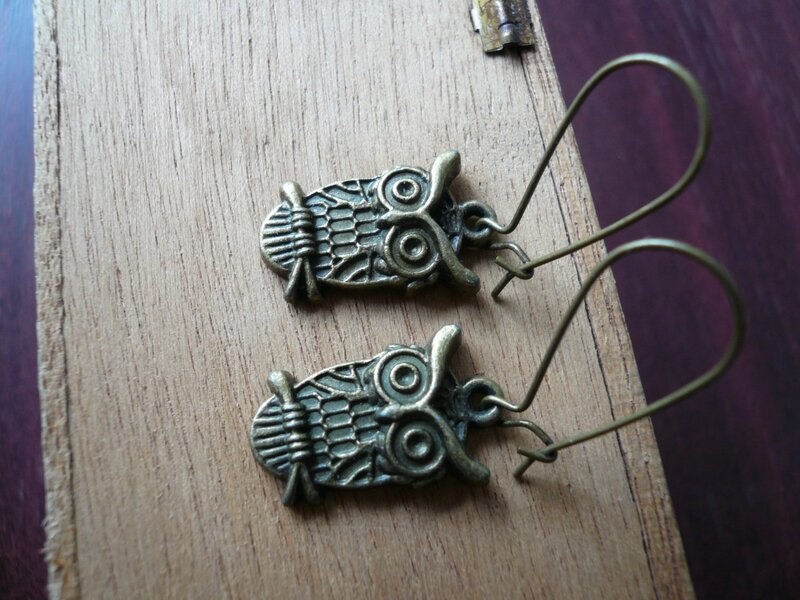 The Witty Owl Bronze Earrings will arrive gift boxed & be sent by Registered Airmail providing a tracking number. Thank you for visiting JewelFairy.